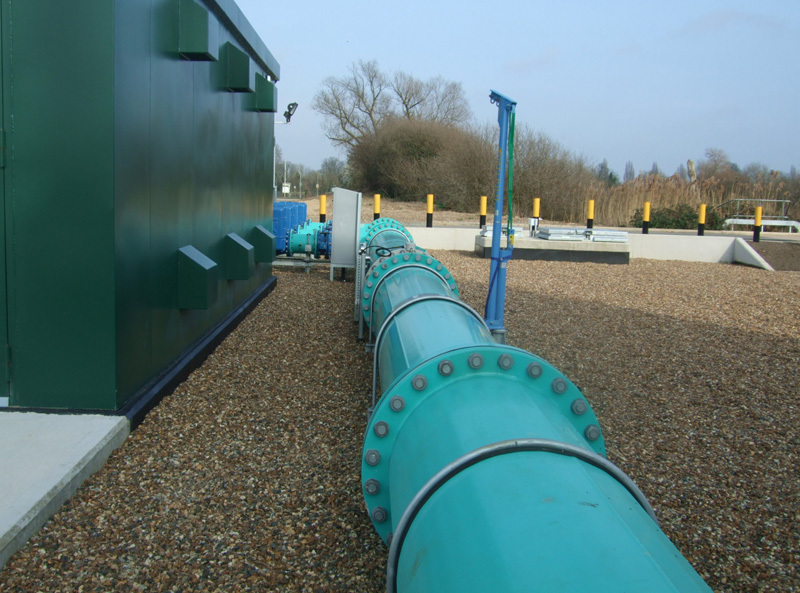 Chertsey Water Treatment Works consists of two treatment streams which are then pumped into distribution as a single stream. The works’ output capacity was increased to be able to achieve a reliable and efficient 60 mega litres per day under normal operating conditions. Additionally the site was improved to enable it to provide 90 mega litres per day for a seven-day emergency period. The works included the construction of an additional rapid gravity filter house, slow sand filter refurbishment works, interconnecting site pipelines and new filtered water pumping station. The construction methods included several deep cofferdams and associated pumping of ground water. As part of the works we installed a Bailey Bridge to provide heavy plant access to the works. The Bailey Bridge was capable of carrying the piling rig, cranes and excavators which were needed for the scheme. We were given possession of the access road and existing access bridge at 18.00hrs and the temporary bridge was operational by 03.00hrs that same night, with the first item of plant arriving on site at 07.00hrs the following morning.